with well managed clinical research. 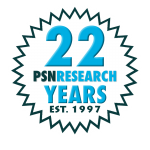 PSNResearch is fully cognizant of the risks and idiosyncrasies associated with Gastroenterology clinical trials. In our experience, the ethical considerations involved in protocol design, including those associated with the use of biologics, warrant increased levels of scrutiny, preparation and data management. Put our decades of experience to use making your CD, IBD, and UC therapy available to sufferers of these debilitating conditions. Our experience includes, but is not limited to these indications, conditions and procedures.